Robert Rotstein grew up in Culver City, California, then the location of the famed MGM Studios and so the true “Hollywood.” He earned an undergraduate degree from UCLA and graduated from the UCLA School of Law. Over the course of his career, Robert has handled lawsuits on behalf of Michael Jackson, Quincy Jones, Lionel Ritchie, John Sayles, Kenny “Babyface” Edmonds, James Cameron, and all the major motion picture studios, among others. 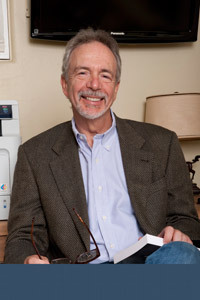 He authored a law review article that explores the relationship between literary theory and copyright law, and has taught as an adjunct professor at Loyola Law School. Robert is currently a partner in a major Los Angeles law firm, where he co-chairs the firm’s intellectual property department. Corrupt Practices (2013) is Robert’s first novel. His next Parker Stern novel, Reckless Disregard, will publish in summer 2014. He lives in Los Angeles with his family.